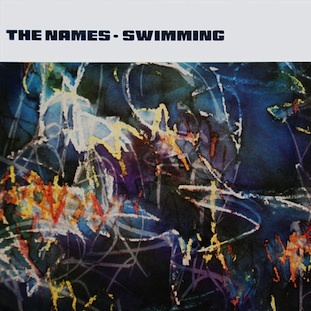 Factory Benelux presents a deluxe double vinyl edition of Swimming, the acclaimed album by Belgian new wave group The Names, originally issued in June 1982. This double vinyl edition was reissued in 2018 in a limited edition of 300 copies on clear vinyl. Between 1979 and 1982 The Names recorded a string of excellent records for Factory, Factory Benelux and Les Disques du Crépuscule, all helmed by legendary producer Martin Hannett. Recorded at Strawberry Studios in Manchester, Swimming has come to be regarded as a cold wave classic, combining strong songwriting from Michel Sordinia and poised, tasteful delivery by guitarist Marc Deprez and keyboards player Christophe Den Tandt. The sleeve features original artwork and poster design by Benoît Hennebert, and photographs by Marc Portée. Available via Factory Benelux Mailorder. Also available as a download and in a single CD edition with bonus tracks.